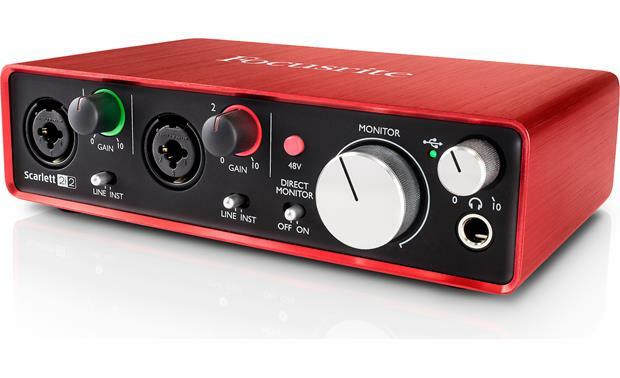 This newly redesigned version of Focusrite's popular Scarlett 2i2 interface is a strong choice for songwriters and musicians who want a simple home recording setup that uses their computer. 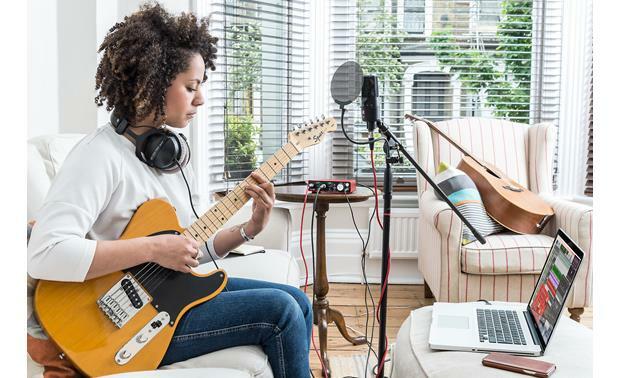 Its two mic preamps let you hook up a pair of microphones to capture sound, or plug a vocal mic into one input and a guitar or bass into the other. 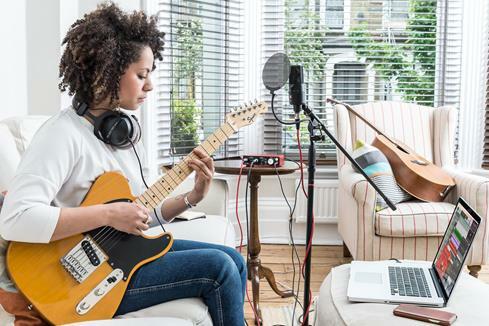 The interface is powered by your computer, and it's compact enough so you can bring it along with a laptop and record wherever and whenever inspiration strikes you. 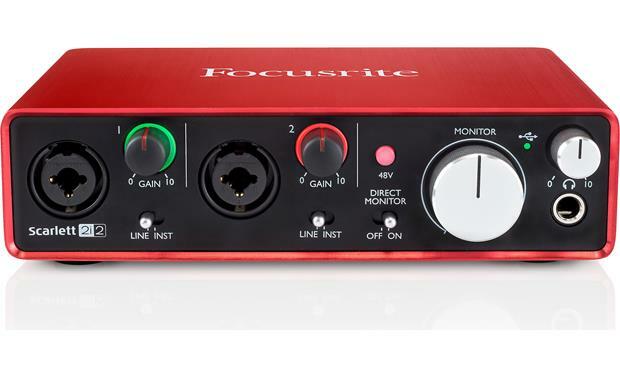 Even if you've never done home recording on your computer before, Focusrite includes helpful intuitive software to get you started quickly. 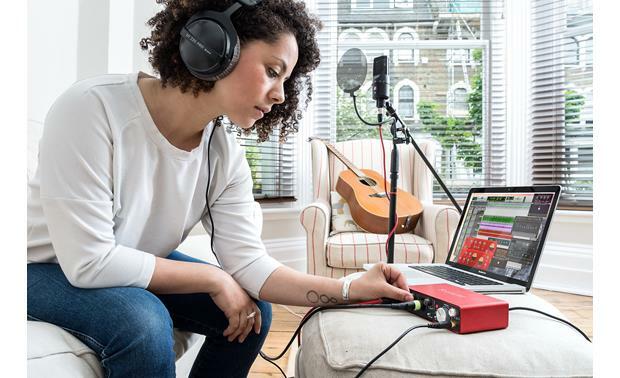 The Focusrite Scarlett 2i2 gives you easy recording using your Mac or PC. 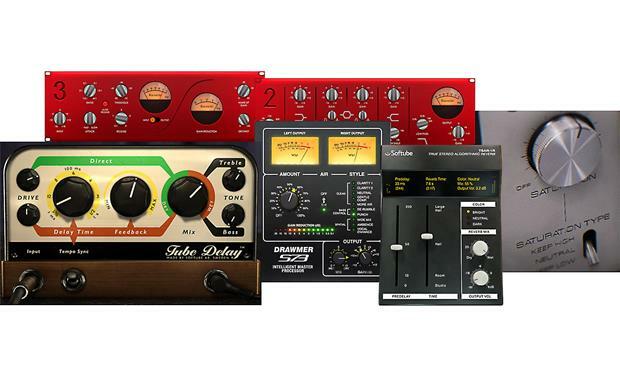 Two combination inputs on the front panel can accept XLR cables from dynamic or condenser microphones, and 1/4" line-level signals from drum machines and keyboards. 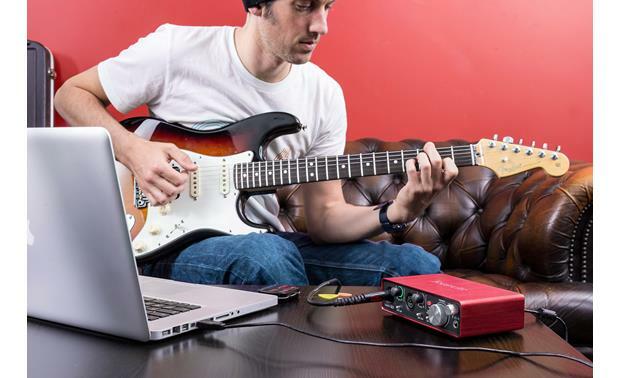 For direct connection of an electric guitar or bass, just switch the input into high-Z "instrument" mode. 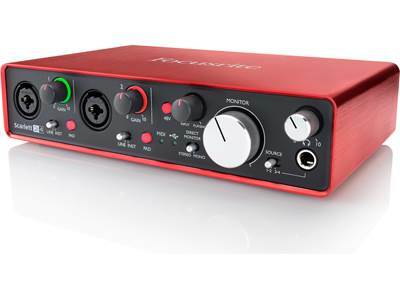 Select phantom power for the mic inputs using the front-panel 48-volt selector. 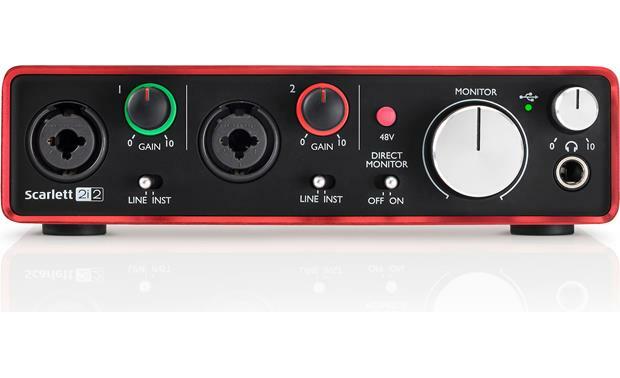 A pair of balanced 1/4" outputs let you connect a pair of studio monitors. Or plug in your favorite headphones — the 2i2's headphone amplifier is powerful enough to drive just about any pair to high volume levels. This unit is fantastic. 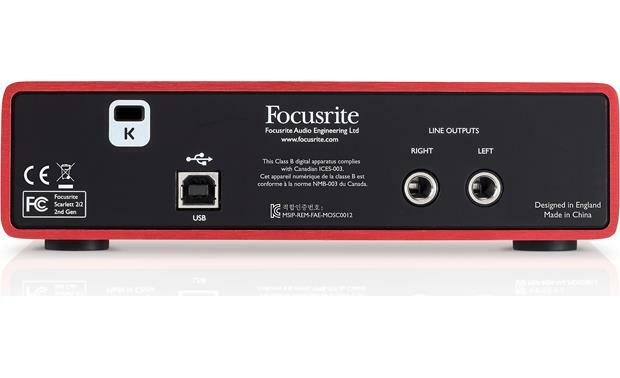 Very low latency and I Iove the two line inputs. 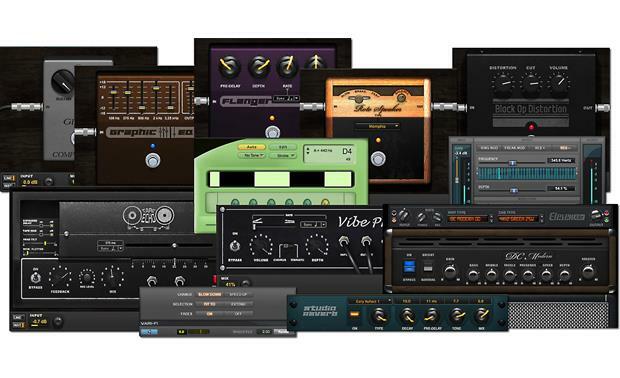 I can record my guitar parts in full stereo. 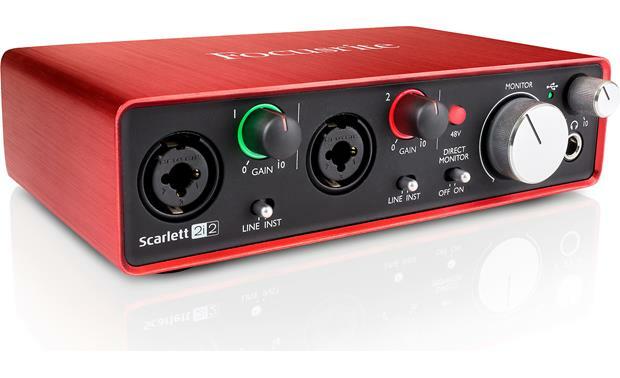 Searches related to the Focusrite Scarlett 2i2 (Second Generation) USB 2.0 audio interface for Mac® and PC.